WirelessDMS has been in the iTunes AppStore since it opened in 2008 with iOS2. As iOS has grown more powerful, so has the WirelessDMS client. With WirelessDMS iOS you have a fully capable DM client that is even faster than DM extensions on a PC. 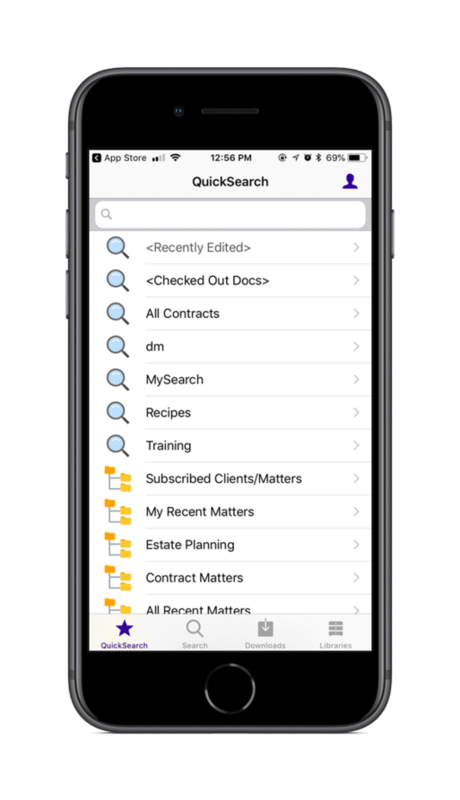 Our client takes full advantage of some of the power user features in iOS such as slide over/split screen and drags and drop between applications. Handoff between iOS, macOS and even watchOS is also provided giving seamless transitions between devices. Our integrated PDF viewer provides extra PDF specific manipulation, searching, and markup ability right inside of the WirelessDMS client.